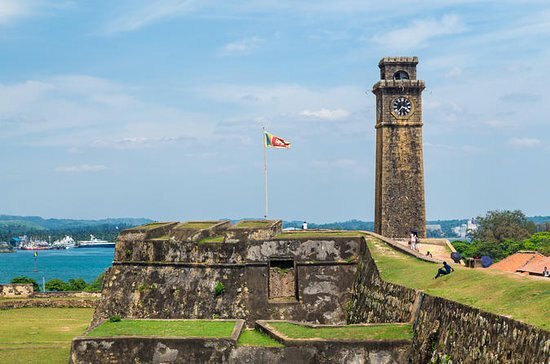 Galle Fort, is situated in the Bay of Galle on the south coast of Sri Lanka. It was built first in 1588 by the Portuguese, and then extensively fortified by the Dutch during the 17th century from 1649 onwards. PLACES YOU WILL VISIT ON YOUR WAY TO GALLE. – In the Southern region of Sri Lanka lies the Galle district. Balpitiya is a little town in the district and would be quite unimportant; except for the location of a river. The Madu River is very rich in biodiversity. It passes through the wet zone of Sri Lanka opening up into the large Madu Lagoon on its way to the Indian Ocean. – The Madu River area surrounding the river are all swampy marshlands covered in mangrove forests. – The forest covers over 61 hectares, that is over 150 acres. 14 of the 24 species of mangroves are found in this area. – When it comes to birds, cormorants and kingfishers are a common sight. For avid bird watchers, the mangrove forests are a dream coming true. There are over 111 bird species identified to inhabit the region. – There are 31 types of reptiles, namely snakes, lizards and crocodiles. – There is also the possibility for your to visit a fish therapy island during you boat safari. – The “Sea Turtle Farm & Hatchery” is a non – profitable organization which is maintained for the survival of Sea Turtles for the next generation. The “Turtle Farm” is situated in Habaraduwa (southern part of Sri Lanka – Galle District) near to the beautiful beach. That is 5m from the Galle – Matara main road. The center was started in 1986 and up to now we have released more than 500,000 Sea Turtles to the ocean. – You get the Chance to experience how the turtles are being looked after by the farm owners also with a beautiful experience where you get to touch and see live turtles and baby turtles.